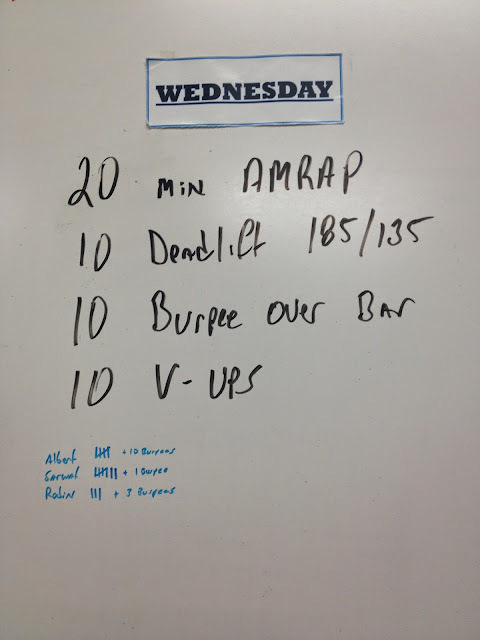 I did 7 rounds plus deadlifts and 1 burpee. I tried 135 lbs for the deadlift but my back was hurting so I dropped the weight after the first round. It actually hurt to try anything heavier so I'm going to the chiropractor today. 45. 55, 60, 65, 70 lbs@5 reps each. Hopefully the chiro work will fix my back issues!